As much as I’m a pen and paper guy, I’d be foolish if I didn’t see the sketchnoting potential in tablets such as the iPad Pro with Apple Pencil. With that device the experience of writing and drawing is now similar enough to the pen-and-paper experience that it feels natural right from the start. Layer on top of that natural experience the features that a digital tool provides (like layers, zoom, brushes, and color) and you’ve got yourself something powerful! 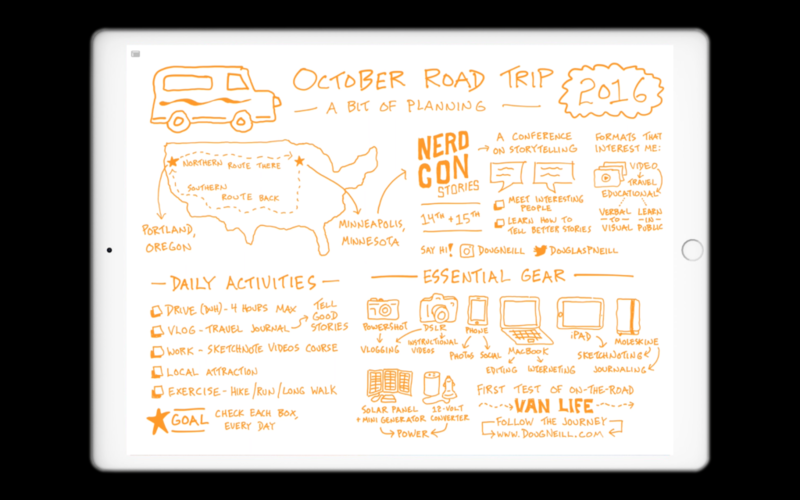 Here’s a sketchnote I created in preparation of a month-long road trip I took last year. One brush and one color to keep it simple! The only app that I’m using right now is called Procreate and I highly recommend it. It’s intuitive and powerful. I’ve also heard good things about Autodesk Sketchbook, Paper by FiftyThree, and Work Visual. In addition to using that tool to take visual notes, I’m also intrigued by the possibilities of adding a sketched layer on top of photographs. I created this image for my personal YouTube channel where I’ve been documenting my explorations at the intersection of travel, creativity, and entrepreneurship. 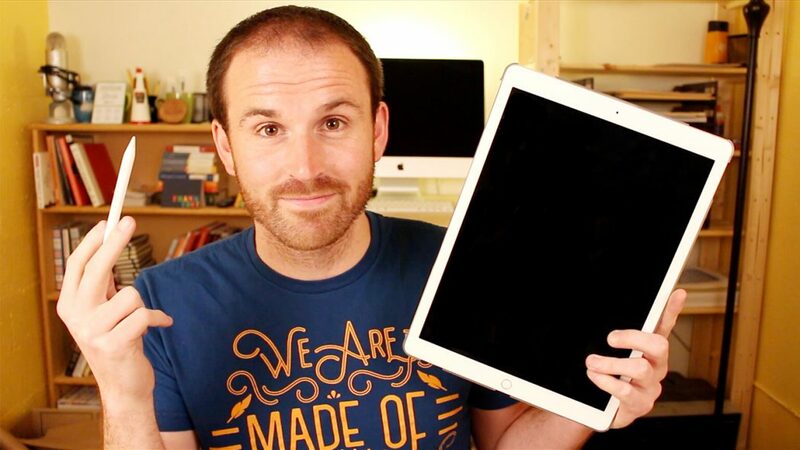 I’ve also experimented with using Procreate to make sketchnote videos, like for this episode of Sketchnote School. Look familiar? This is from How To Improve Your Listening Skills. Check it out if you haven’t seen it yet! 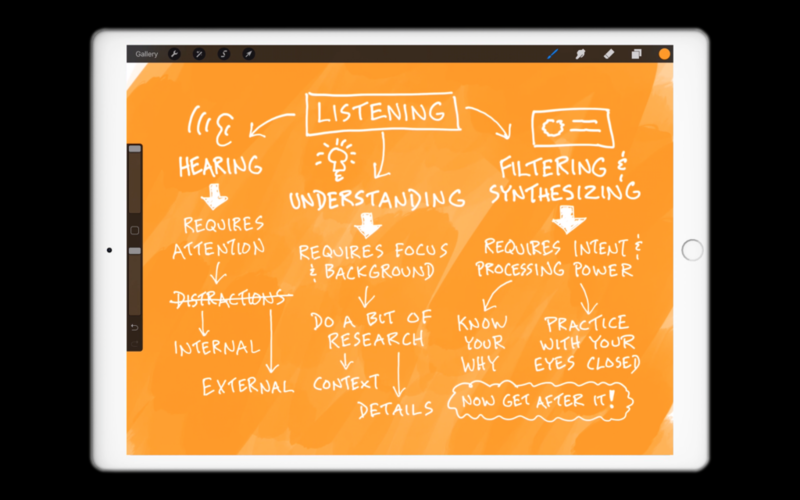 If you’re intrigued by that application then you should check out How To Make Sketchnote Videos because I just added a bonus module where I show you how to make this style of sketchnote video! The specific sketchnotes that I’m working on right now are for a video that I’m making for my personal YouTube channel in which I’m sharing what I learned from that month-long road trip. Sometimes we need a reminder to enjoy the beauty that surrounds us! I was riding solo during this road trip, which had its ups and downs. I’m not yet comfortable enough with the Apple Pencil or with the app Procreate to use it for live sketchnoting, but if that’s something you’re interested in, I recommend that you decide up front how you’ll use all of the features available to you – layers, zoom, brushes, and colors. Put enough constraints on the use of those features so that you can make quick decisions while sketchnoting rather than wasting time deciding which feature to take advantage of next. 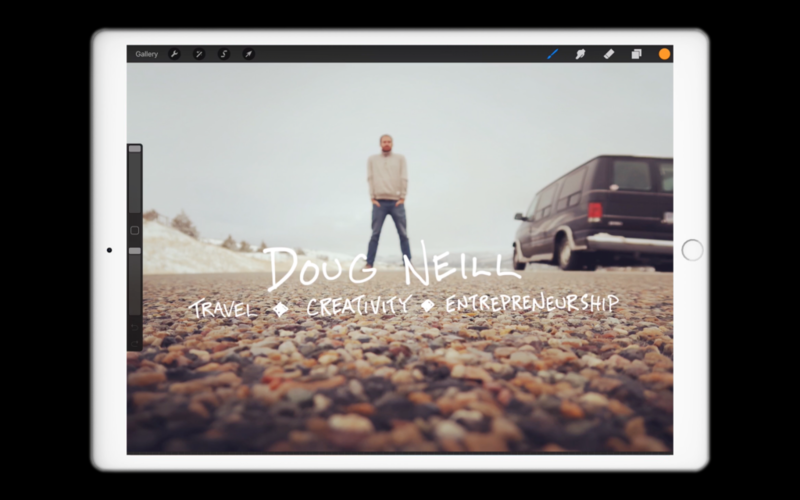 Even though I’ve only got a little experience with this tool combination, I’m really excited about its potential for taking sketchnotes and making videos. 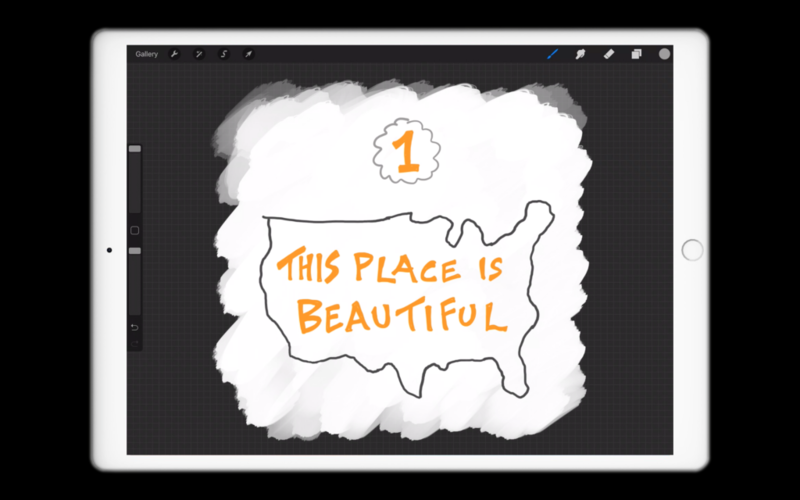 I hope you enjoyed this small window into the world of digital sketchnoting!